I sometimes forget how mysterious the Real Estate listing timeline is for most people. There are many variables when listing a home but we do have an average listing timeline for the process. Knowing what to expect can reduce nerves and allow planners to start planning. Here is my break down of the timeline for selling your home. The first step is getting a price analysis from a Realtor and preparing your home. An experienced Realtor can assess the specific factors that determine the price range for selling your home. This will usually require a walk-through of your home for the Realtor to determine the condition. Preparing your home may include fixing cosmetic damages, painting walls, or decluttering so you can put your best foot forward when going on the market. Next is going on showings and seeing the homes currently on the market, specifically in your area. Looking at homes to buy might seem strange when you are selling your home. I promise there is a method to the madness. Before selling your home, you need to be sure you are ready to buy. This means making sure you like some of the homes currently on the market. In general, you should like about 20% of the homes you see. This indicates you will find a house when you are ready to buy. In addition, you will see what your house will be competing against while on the market. Getting familiar with what is on the market and for what price gives you an accurate taste of the market conditions and listing timeline. The next step is listing your home and dynamic media campaigning to get your home seen. In this day and age, social media is pivotal to selling your home quickly and profitably. High-quality pictures are necessary and your agent should cast a wide net online presence. The Selling South of the River team uses Zillow, Trulia, MLS, the Selling South of the River website, Facebook, Twitter, and Linkedin. We have a completely separate timeline for your home’s social media presence. 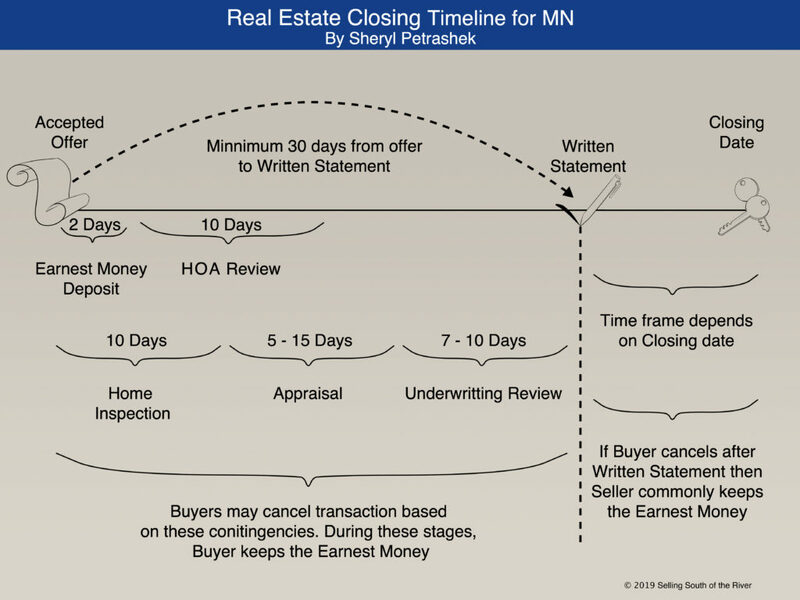 After receiving an offer, the closing timeline begins and the closing date is set. 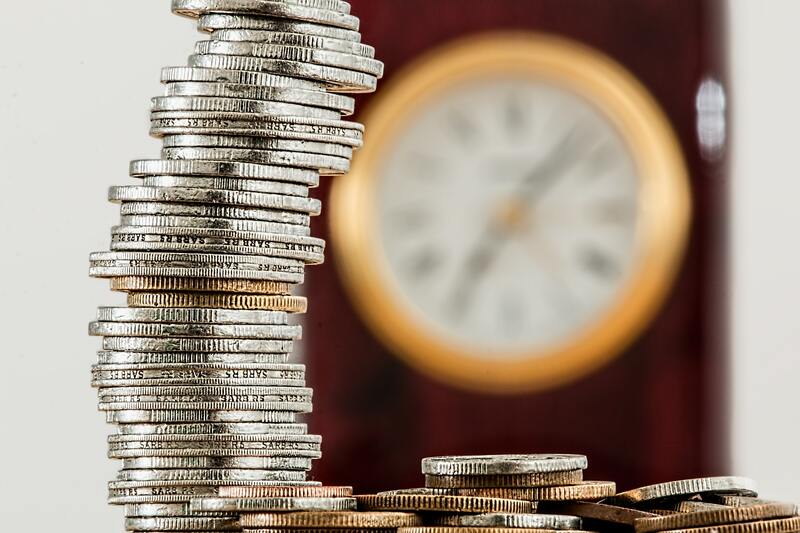 After getting an offer the brokerage will receive the buyer’s earnest money in one or two days. Within 10 days there is an inspection of your home ensuring there are no safety concerns. If your home belongs to an association the review process will start between 5 to 15 days after the offer. The appraisal of your home happens 5-15 days after the inspection and negotiations. It happens after the inspection so the appraiser can include any conditions found in their price analysis. After the appraisal, the underwriting review begins. Underwriting is a confusing term that means the loan company is checking all the details are correct in the buyer’s loan. All these steps are called contingencies. If there are any issues leading up to the written statement, the buyer can walk away keeping their earnest money. Perhaps that is a little dramatic, but if you will excuse my hyperbole. There is a clear line in the closing process where “no-fault” ends. After the underwriting is finished the company creates the written statement, which is sent to the seller and buyer. The written statement is a promise to both parties that the loan supplier will provide a loan on behalf of the buyer. After the written statement is received the buyer cannot leave the transaction without forfeiting their earnest money. It takes about 30 days from the accepted offer to the written statement and typically up to 30 days until the closing date. The buyer and seller can agree to an earlier or later closing date if they wish. For more visual people, the handy chart above should help clear things up. This is the standard listing timeline, but things may vary depending on the transaction.